This Tuesday marks the start of the 2015 NBA Conference Finals as the Western Conference Finals will commence that night in Oaktown, while the Eastern side will begin the following night in the ATL. TNT will have the Eastern Conference action (a convenient trip for them) while ESPN will have the Western Conference action. Continue reading for the full television and announcing schedule for the Conference Finals round of the 2015 NBA Playoffs. It is the 140th running of the Preakness Stakes this Saturday, the second leg of the Triple Crown. As one would expect, the focus is on Kentucky Derby winner American Pharoah as it aims to become the first horse since Affirmed to win it all. Will the Belmont Stakes see a horse poised to get the Triple Crown for the second straight or will it all be for naught? Here are my picks for tomorrow's Preakness. The race for Lord Stanley's Cup is down to only four clubs as we have reached the 2015 Stanley Cup Conference Finals. While the two teams remaining in the Western Conference had a bit of an easier route in the second round to get here as compared to the Eastern Conference, that's all out the window now. Who will advance to the Stanley Cup Finals? Here are my predictions. 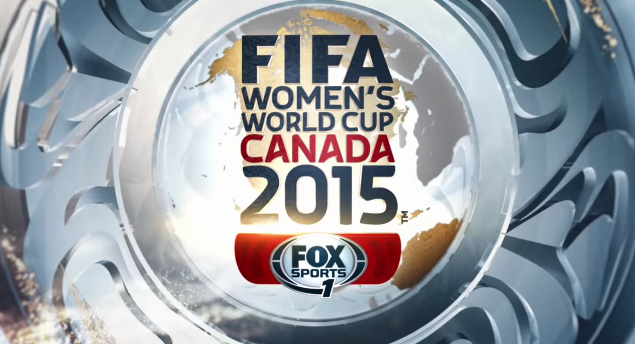 The 2015 FIFA Women's World Cup commences in three weeks from this Saturday and while we are still waiting for the broadcast schedule on the networks of Fox Sports, we do know have the broadcast crews that will be utilizing from Canada next month. Let's take a look. This weekend marks the beginning of the 2015 Stanley Cup Conference Finals. Save for the games this weekend, all games will be broadcast in primetime and every game will be seen on either NBC or NBCSN. Continue reading for the full television and announcing schedule for the Conference Final round of the Stanley Cup Playoffs. It is only Tuesday and we already have some big changes heading the way of ESPN Radio. On Monday, the great John Ourand broke the story that Mike & Mike was adding a permanent third voice in Molly Qerim, who will join from NFL Network's 'NFL AM,' and will move from ESPN headquarters in Bristol to studios directly above 'Good Morning America' in Times Square following Super Bowl 50. Then came today's news that Scott Van Pelt will be leaving his ESPN Radio program, SVP and Russillo, this summer in order to host a midnight edition of SportsCenter. Factoring all of that in with some rumors that Colin Cowherd may leave ESPN to dive into talk radio and all of a sudden, ESPN Radio could be poised for a major shakeup.